For a 12th consecutive year the Vancouver Canadians partnered up with the Salvation Army to provide family-sized turkeys to families in need in time for the Thanksgiving Weekend. Save-On-Foods Main Street was generous enough to provide both the turkeys and basting trays. (Vancouver, B.C.) - With both wins and losses in the rearview mirror the Vancouver Canadians were more than happy to roll up the old sleeves and head into the community to kickstart the Thanksgiving Long Weekend by sharing more than 100 family-sized turkeys with those connected to the Salvation Army Vancouver Community & Family Services on Fraser Street. The annual donation with now reaches back more than a decade brings Save-On-Foods Main Street, the Vancouver Canadians and the Salvation Army with one collective purpose - to ensure families from across our neighbourhood can enjoy a quality and heartfelt holiday. 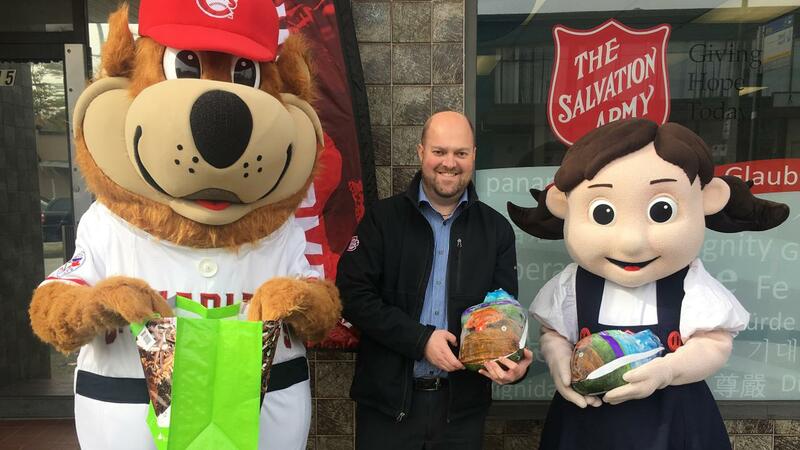 Led by Vancouver Canadians Vice President, Sales & Marketing Graham Wall, the C's work with both Save-On-Foods and The Salvation Army to prepare a cost-free initiative that also provides dignity to those receiving this gift in time for the Canadian Thanksgiving Weekend. "It speaks to the leadership from within our community," states Graham Wall as he describes how both Save-On-Foods and The Salvation Army make this annual event a priority each October. "These are the types of businesses that we encourage everyone within our community to support," adds Wall. Save-On-Foods provides both the family-sized turkey as well as the basting pan which makes the cooking of the meal that much easier while the Canadians present the distribution while sharing a time-tested recipe that will ensure the turkey comes out of the oven juicy and ready for the whole family to enjoy. 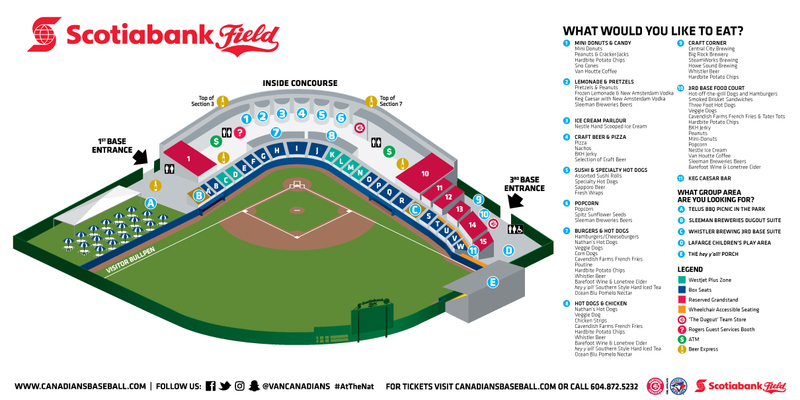 Dating back to 2008, the Vancouver Canadians Thanksgiving has now connected with more than 1,000 local families and is a staple of the organization's off-season philanthropic efforts.